Advanced Climate Solutions offers specialised Air Conditioning products and installation services for commercial and residential AC purposes. ACS Brisbane is a leader in delivering safe and reliable air con system in Queensland. Our staffs are well-experienced and very knowledgeable in electrical, ducting and air conditioner systems. For any air conditioning need, we’ll find the best AC solution for you. To learn more about our Brisbane Air Con services, please see pages below. We provide quality air conditioning service in Brisbane & other cities in Queensland. The designs & products used in our commercial air conditioning solutions are guaranteed to be above industry standards. Advanced Climate Solutions (ACS) supply and install commercial air conditioners for small and large premises. Daikin commercial air conditioning requires professional service to ensure safety and efficiency of commercial air conditioning systems. Our services for Home Airconditioning is very affordable by any family. Get a new Daikin air conditioner for your house and get the best comfort in any season of the year. Our domestic or residential air conditioning services covers from basic fascia units to fully ducted air conditioning and automated systems. Whatever type and size of home you have, our domestic air conditioning specialists make sure you get maximum efficiency and minimum electrical consumption for your home. Top quality AC Maintenance and Servicing contracts delivered on time. Our list of satisfied clients prove that Advance Climate Solutions is the leading AC Brisbane Contractors. We offer professional air conditioner installation – maintenance servicing for domestic and residential premises. For all your air conditioners troubleshooting needs, contact us and we are ready to be of service to you. The mood, productivity and health of people who live or work in a space are largely influenced by the indoor climatic conditions. Advanced Climate Solutions, with its strong expertise in air conditioning systems, ensures that the interiors of your space are comfortable, healthy and full of clean positive ambiance. At Advanced Climate Solutions, you receive complete end to end services with regard to air conditioning systems. All you have to do is get in touch with us and tell us about your requirements. From general advice on the choice of air conditioning units to installation and maintenance, we offer complete services. A ducted air conditioning unit could be your solutions to beating the Brisbane heat for good. Ducted air conditioners use a series of ducts and vents to efficiently cool a whole house. Ducted air con is perfectly suited for surviving a classic Brisbane summer of sweltering days and humid nights. Ducted air conditioning is a set and forget unit that will ensure your house stays at the perfect temperature all summer. And with the zoning feature of ducted systems, you can cool living areas during the day and bedrooms at night. This means you can maintain a cool 24 degrees wherever you are without the cost of cooling the whole house. Our Team at Advanced Climate Solutions is experienced in all things air conditioning. From air conditioning installations to servicing, maintenance and repairs, we’ve got you covered. Our qualified technicians are experienced in both residential and commercial air conditioning. For all your aircon needs, call Advanced Climate Solutions on 07 3206 342 today. Split system air conditioners are some of the most common air conditioning systems found in Australian homes. Split system air conditioners are ideal for cooling a single room or small space. But, with multi split system options, these units can be used to efficiently cool multiple rooms or maintain a cool temperature in larger areas. Advanced Climate Solutions have a team of experienced technicians that specialise in the installation and upkeep of split system air conditioning units. 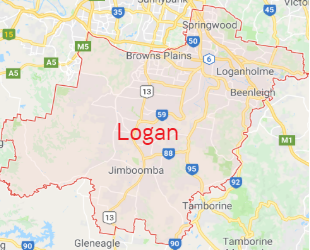 Based in Thornlands, we offer split system air conditioning Brisbane wide including Logan, Brisbane Southside, and the Redlands. For fast, reliable service at great prices, contact Advanced Climate Solutions today. 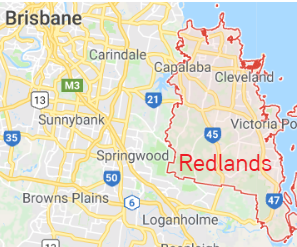 Advanced Climate Solutions is located in the heart of the Redlands servicing the surrounding area. Our technicians are highly trained and we keep our vans fully stocked to get your air conditioner back up and running as soon as possible. We offer quality cooling solutions at competitive prices. Whether you just need an annual service or an entire system installation, call Advanced Climate Solutions. Advanced Climate Solutions is perfectly situated to service the entire Brisbane Southside area. And with our experienced technicians locally based and on call 24/7 we provide a quick response emergency breakdown service. 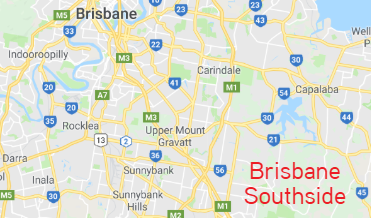 Call 07 3206 3542 for high quality air conditioning installations, repairs and servicing Brisbane South wide. Advanced Climate Solutions offer both commercial and residential air conditioning Logan wide. No job is too big or too small. From air conditioning installations, 24/7 emergency breakdowns and scheduled servicing, we do it all. Call Advanced Climate Solutions for quality air conditioning services at great prices! Why choose Advanced Climate Solutions? Advanced Climate Solutions, a company backed by great work ethics and strong technical skills, specialises in all things related to air conditioners. Hire us because we know that we can do a great job on your air conditioning needs. We provide services to residential, commercial and office spaces. We take up installation, servicing and maintenance of central air conditioners, window units and split cooling systems. In short, we can be the one stop solution for all your air conditioning needs. Work with us and you’ll not have to look elsewhere for anything related to cooling systems in your office or home. Contact us today or call us on 07 3206 3542 for a free quote.